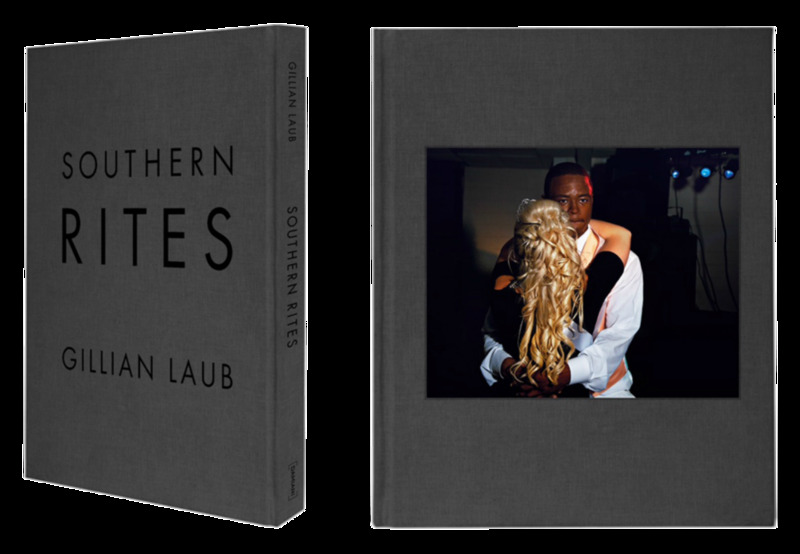 In 2002, Laub was sent on a magazine assignment to Mount Vernon, Georgia, to document the lives of teenagers in the American South. The Montgomery County residents Laub encountered were warm and polite, both proud of their history and protective of their neighbors. To the photographer, Mount Vernon, a town nestled among fields of Vidalia onions, symbolized the archetype of pastoral, small town American life. Yet this idyllic town was also held hostage by a dark past, manifesting in the racial tensions that scar much of American history. Laub learned that the joyful adolescent rites of passage celebrated in this rural countryside – high school homecomings and proms—were still racially segregated. Then, in early 2011, tragedy struck the town. Justin Patterson, a twenty-two-year-old unarmed African American man–whose segregated high school homecoming Laub had photographed–was shot and killed by a sixty-two-year-old white man. At first, the murder seemed to confirm every assumption about the legacy of inequality and prejudice that the community was struggling to shake. But the truth was more nuanced than a quick headline could telegraph. Disturbed by the entrenched racism and discrimination that she encountered, Laub recognized that a larger story needed to be told. Her project, which began as an exploration of segregated high school rituals, evolved into an urgent mandate to confront painful realities. The exhibition is organized by the International Center of Photography and ICP curator Maya Benton. The feature length documentary film, Southern Rites, follows photographer Gillian Laub as she returns to the community in Georgia where she documented segregated proms that garnered national attention when her photographs were published in 2009. The proms are now integrated; but in the aftermath of a fatal shooting of a young black man and in the midst of a heated local election, the community still grapples with issues of race that extend well beyond the senior prom. Directed/produced by Laub and executive produced by acclaimed musician John Legend, the timely documentary debuted in May 2015 on HBO. As the divisive case unfolds, Laub also chronicles the campaign of police chief Calvin Burns to become Montgomery County’s first black sheriff eight miles away. Burns’ daughter, Keyke, who says Justin Patterson was her first love, works to elect her father, and is outspoken about the community’s racial divide. Southern Rites is an original and provocative twelve-year visual study of one community’s struggle to confront longstanding issues of race and equality. In May 2009, The New York Times Magazine published a photo-essay by Gillian Laub entitled, “A Prom Divided,” which documented Georgia’s Montgomery County High School’s racially segregated homecoming and prom rituals. Laub’s photographs ignited a firestorm of national outrage and led the community to finally integrate. One year later, there was newfound hope—a historic campaign to elect the county’s first African American sheriff, yet the murder of a young black man— portrayed in Laub’s earlier prom series—by a white town patriarch, reopened old wounds. Through her intimate portraits and first-hand testimony, Laub reveals in vivid color the horror and humanity of these complex, intertwined narratives. The photographer’s inimitable sensibility—it is the essence and emotional truth of the singular person in front of her lens that matters most—ensures that, however elevated the ideas and themes may be, her pictures remain studies of individuals; a chronicle of their courage in the face of injustice, of their suffering and redemption, possessing an unsettling power.